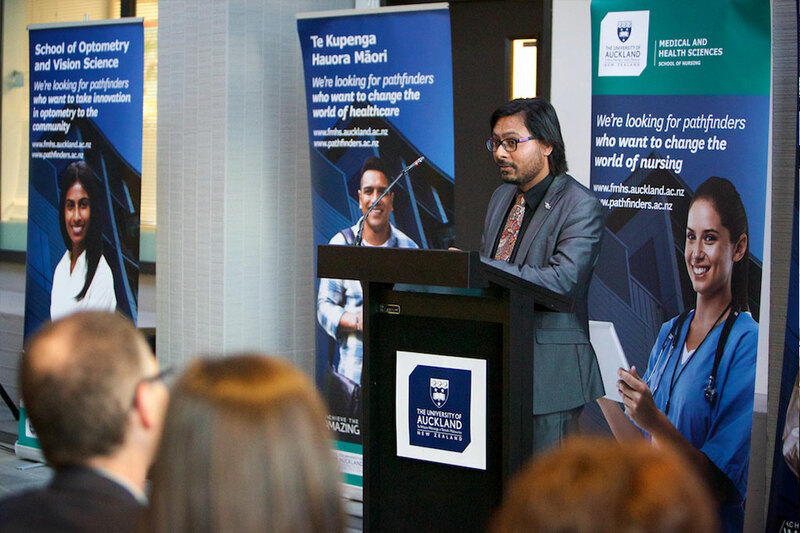 Congratulations to the TRI Public Relations Manager, Dr. Raj Shekhawat, who was awarded with the Butland Award for Early Career Excellence in Teaching by the Faculty of Medical and Health Sciences of the University of Auckland! Mr. Paul van de Heyning, enthusiastic member of the Tinnitus Research Initiative, received the James-Snow-Jr. MD Tinnitus Research Award "In recognition of the vision, commitment and excellence of his contributions to the advancement of research in the field of otology and basic research" from the Collegium Oto-Rhino-Laryngologicum Amicitiae Sacrum in Bordeaux. Mr. van den Heyning is chairman and professor at the Department for Otorhinolaryngology and Head and Neck Surgery at Antwerp University Hospital, University of Antwerp, Belgium. In his career he already oublished more than 490 articles in pub med and supervised more than 50 PhD thesis. 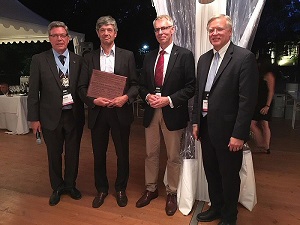 On the photo we can see (left to right): Prof. Dr. René Dauman, president of the CORL, Prof. Dr. Paul van de Heyning, Prof. Dr. Bradley Welling, MD PhD chairman ORL Harvard, Prof. Dr. Matti Anniko, MD PhD chairman Karolinska Institute. 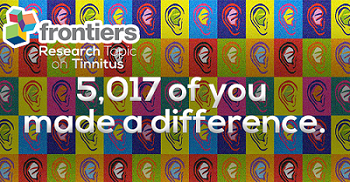 Calling all professionals with tinnitus experience to register and complete the COMIT'ID online survey! Prof. Deb Hall and her team at the NIHR Nottingham Biomedical Research Center are conducting a world-wide study in collaboration with TINNET Working Group 5. The COMIT'ID study will aim to improve future tinnitus clincial trials by standardising the way sound-, psychology- and drug-based tinnitus treatments are measured. Watch the COMIT'ID video to find out more! You can also read about the study in their Action on Hearing Loss Blog. All researchers, health professionals, commercial/industry representatives and funders with specific experience in tinnitus treatments are encouraged to sing up and take part by Friday 2nd June. Members of the public with tinnitus alre also invited to take part. The press release for the latest tinnitus project "European School on Interdisciplinary Tinnitus Research" is out now. 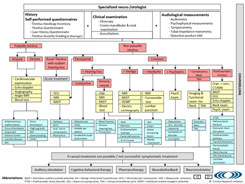 Inform on http://www.uniklinikum-regensburg.de/service/aktuelles/04999.php about the aims, projects and partners of ESIT. We are happy to announce our partnership with a totally new Tinnitus Research Project started in April 2017: The European School on Interdisciplinary Tinnitus Research. This project aims to train a new era of tinnitus researchers in many different sciences related to tinnitus research, to find out even more about the tinnitus on every level, develop new treatment solutions and create a pan-european tinnitus dataset. Threrefore, 15 PhD positions all over Europe are offered. Find the job announcements on http://www.esit.tinnitusresearch.net/index.php/job-offers. We are proud to be part of this project and contribute to the high-aiming goals. This is the first scientific paper that came out of the cooperation between the patient forum TinnitusHub (http://www.tinnitustalk.com) and researchers from TRI and TINNET. Three large patient samples (total n= 9'600) have been compared: The database of the University Clinic Regensburg, the sample of the TrackYourTinnitus app and the results of a survey on TinnitusTalk. 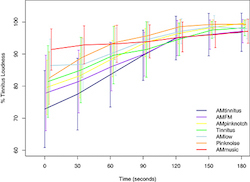 The paper showed significant differences between the three samples with respect to age, tinnitus duration and gender. The result will guide future studies, improve data sampling and has an important impact on the interpretation of the study results. 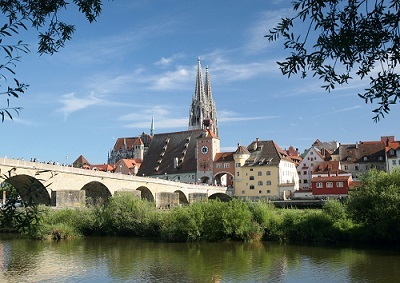 From March 14-16 2018 we will welcome you in lovely Regensburg for the 11th TRI Conference and the 2nd TINNET Meeting! For further information please go to http://2018.tri-conf.org/ !